As Chiropractic evolved, Dr. Palmer's son, Dr. B.J. Palmer, discovered that there were some unique and important improvements to patients' health problems when the upper cervical spine was very precisely adjusted. 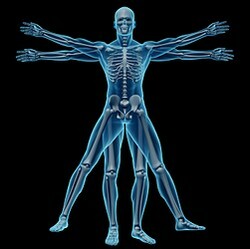 Two chiropractors in particular, Dr. John Grostic and Dr. Ralph Gregory took this work to a whole new level. Dr. Gregory went on to for the National Upper Cervical Chiropractic Association (NUCCA). The NUCCA organization continues to refine and improve upon the foundation laid by Dr. Gregory to serve humanity by restoring health to many thousands every year.